You discover a deep cut from your parents’ record collection and decide to get your digital scalpel out to remold the track for a DJ set. The new version is a hit, the audience rushes the booth asking for the name of the remixer. Congratulations – but are you ready to face the legal challenges of licensing a track for a remix? 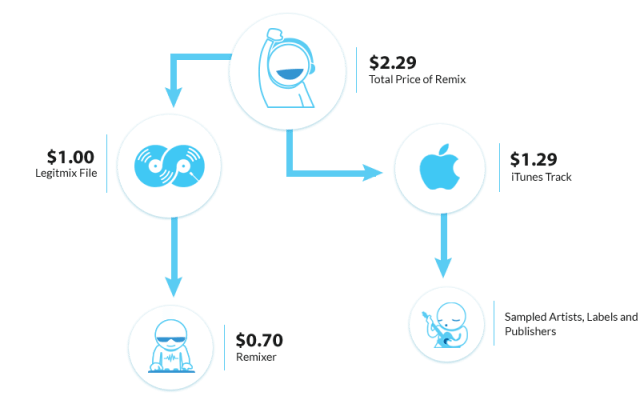 This is what Legitmix hopes to solve – by creating a new paradigm for the use of copyrighted material. 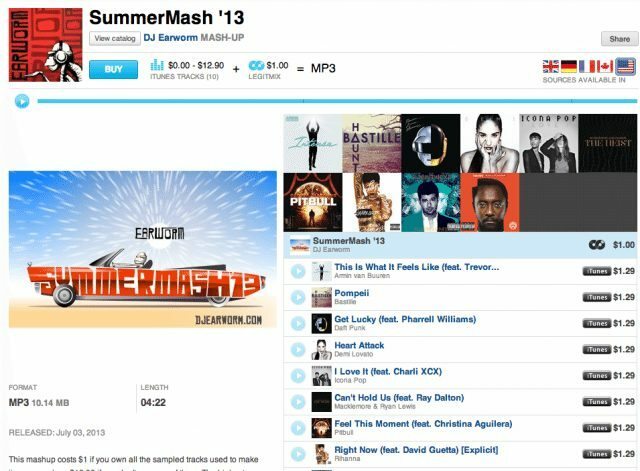 To buy the Earworm mash-up, listeners + DJs must first download the Legitmix proprietary software. This software scans your music library to determine if they have the original tracks used in the mix before letting them purchase a ‘Legitmix file’. The software then uses this file to recreate the remix and produce a DRM free MP3 that can be used in iTunes/Traktor/Serato/Rekordbox. 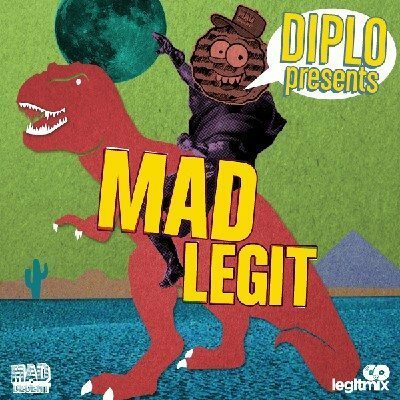 How does LegitMix reproduce the Earworm mash-up? The software apparently calculates the “binary difference” between the original material and the mash-up – meaning that they’re looking at the music files as pure data that can be spliced together legally – as long as all of the parts are legally purchased. How the Legitmix model works. As a producer, create your own profile and when you upload your own work, the site will ask you to specify the tracks you have used, or ‘Sources’ (sound familiar? 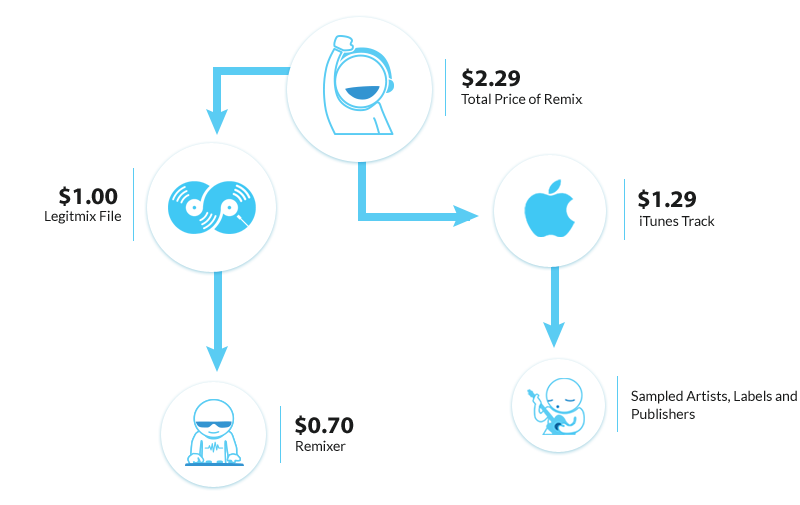 Beatport’s Mixes has a similar process). You provide links to online stores where the sampled material can be purchased (iTunes seems to be the preferred vendor). The website creates a ‘Legitmix File’ for your release, you set the price of the remix (free is an option). 70% of the proceeds from the sale of your Legitmix files come back to you. In the next steps, you are asked for some copy about your upload, along with tags to make your work searchable, ‘Disco Re-Edit’ for example, and it also allows you to upload artwork and schedule a release date. From then on you can use the dashboard feature to look at your vital statistics such as plays, shares and purchases. Usually, the moment you start sharing your remixes you’re technically breaking the law. The ‘not for profit’ angle simply won’t work if your remix gets noticed. This lesson painfully was learned by Julio Bashmore last year when he faced legal action for his use of a Jimi Castor Bunch sample on his free giveaway ’Troglodytes’ which was posted on Soundcloud. The rights owners claimed that Bashmore was using unlicensed samples to further his own career. He was forced to take down the track, pay an undisclosed fee, and issue an apology. The Legitmix legal model has been vetted by several top copyright experts, so we’re confident of our position. More importantly, Legitmix is designed to benefit copyright holders, so we’re also confident of our moral position and business model. 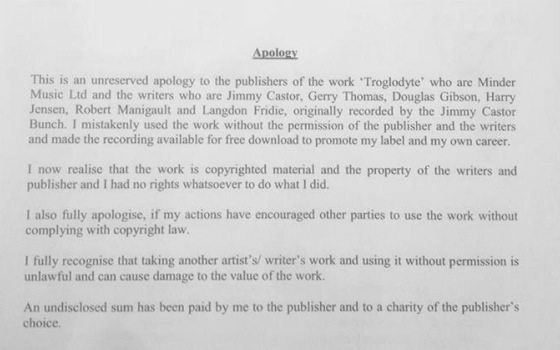 We’ll defend our users against any claims against their use of the Legitmix software provided they properly identify the source tracks used in their mix. If adopted by more DJs, the model could become an established part of how we search for new music and interesting remixes. 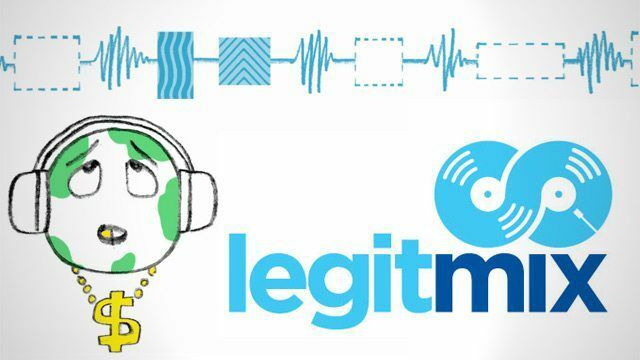 Legitmix is clearly a remarkable new venture, which has the potential to offer great rewards for artists usually restricted by tough copyright laws. Check out Legitmix on their site. Do you think you’d use it for a release, or have you already? Let us know in the comments below.